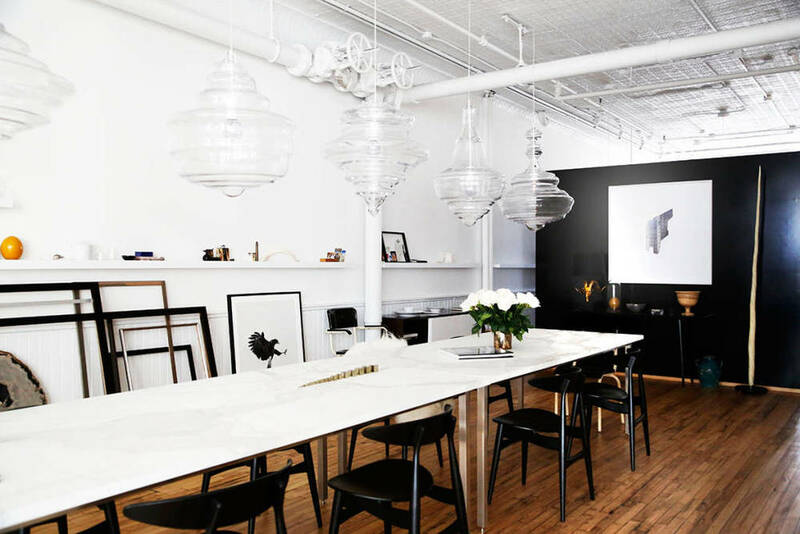 Glam it up: Inside The Apartment, Part 2 — Sukio Design Co. If "more is more," then may I present even more fabulous photos of The Apartment, a perfectly-curated showroom overlooking Soho's Greene Street. The extra pics highlight a design philosophy which favors texture over color. Aside from the tufted, navy blue sofa (a.k.a., my favorite thing), the space is largely neutral, a palette of black and white peppered with tactile objét. 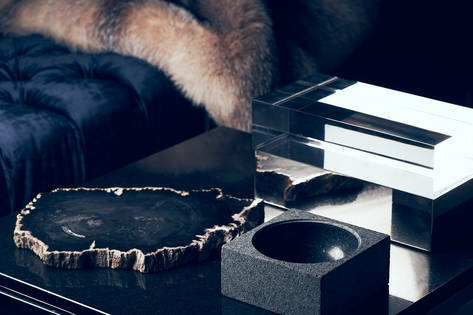 Fur, marble, petrified wood, glass, chrome, and all things luxurious combine to create a unique shopping experience.